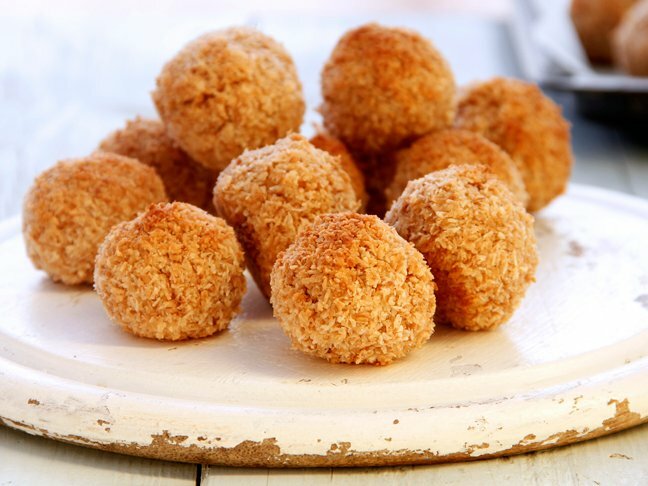 My sons are identical twins, and while they share the same taste in a lot of things, they are always looking for ways to be different from each other. They find themselves putting their names or initials on virtually everything they own, just for practicality’s sake. Personalizing their bedrooms is no different; they both like to clearly distinguish their own spaces. 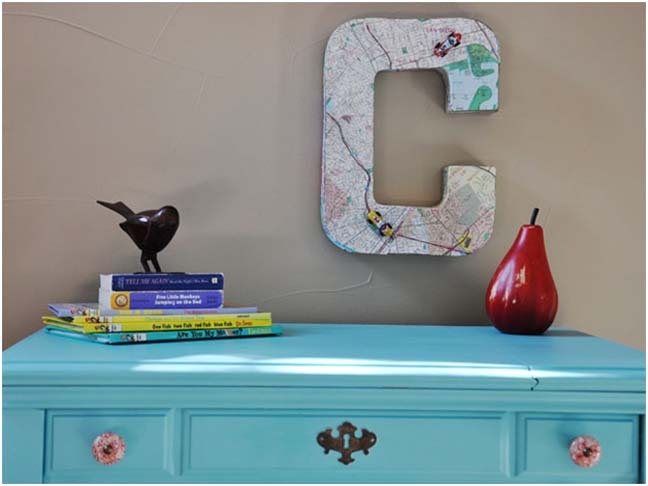 These wall initial letters do just the trick—you can easily find them at any large craft store, and personalize them to whatever activity your kids are into at the moment. In our case, Formula One racing is the obsession du jour. 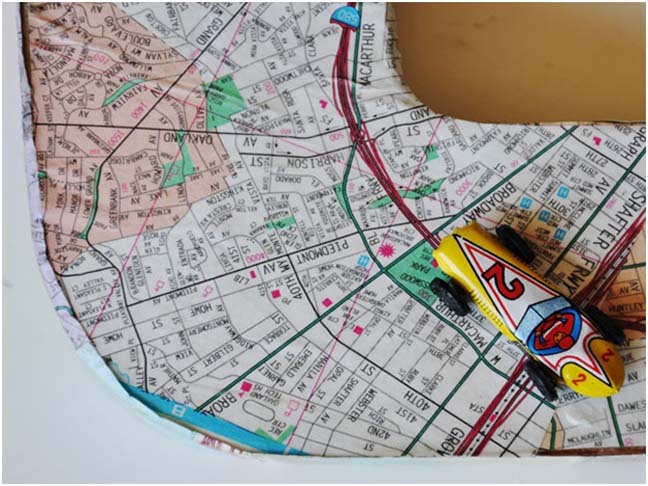 I purchased a large initial letter with my son’s first initial, covered it with an old map, and added a few fun toy cars for visual interest. 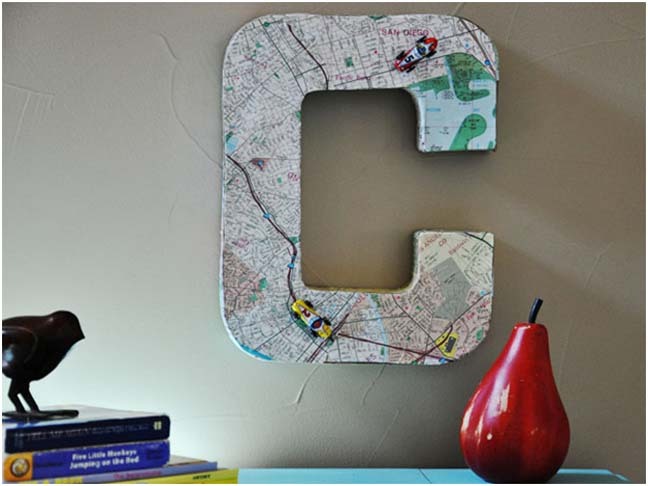 This wall initial letter is his favorite thing in his whole bedroom, and it makes a big impact on the decor. 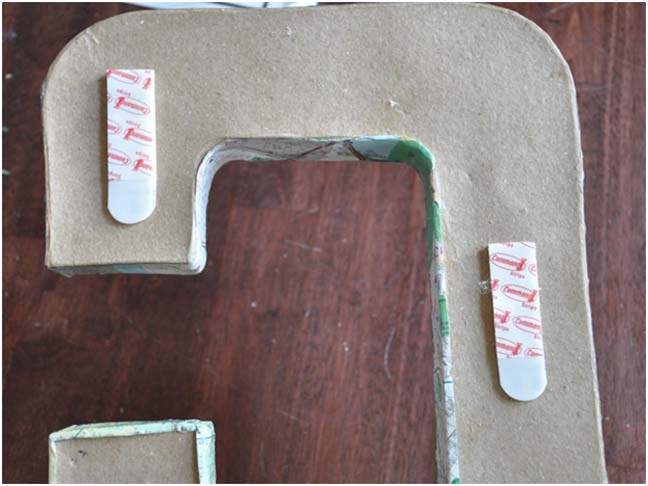 Check out the tutorial for wall initial letters below. If you’re looking for more monogram projects, I’ve rounded up my favorite monogram letter DIY tutorials in the slideshow. 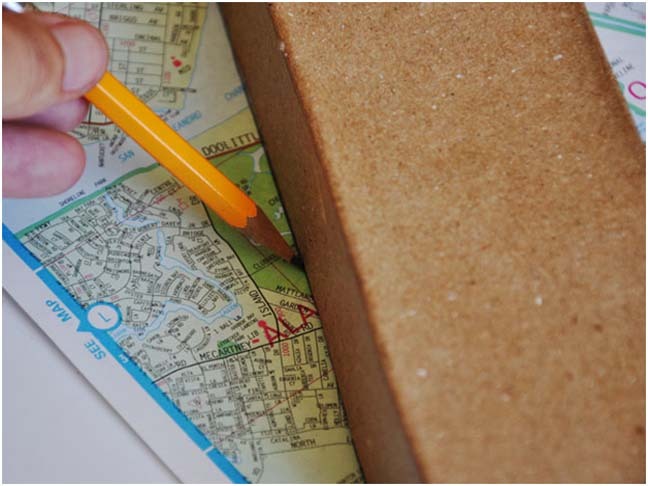 Step 1: Begin by tracing around the entire letter on the map or atlas pages. 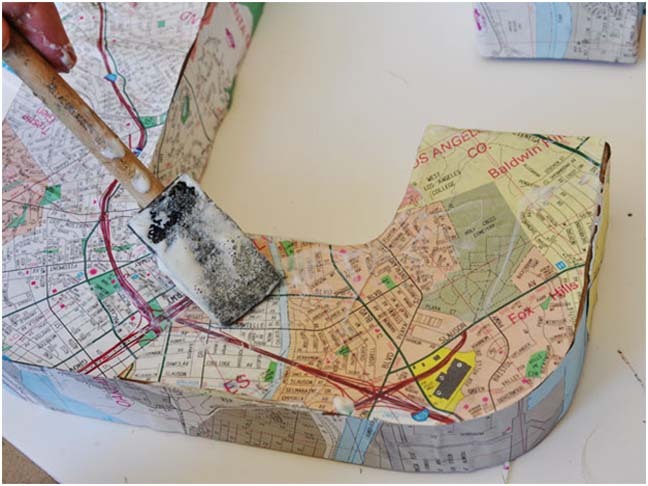 If using pages, it is possible you will have to piece the map together. 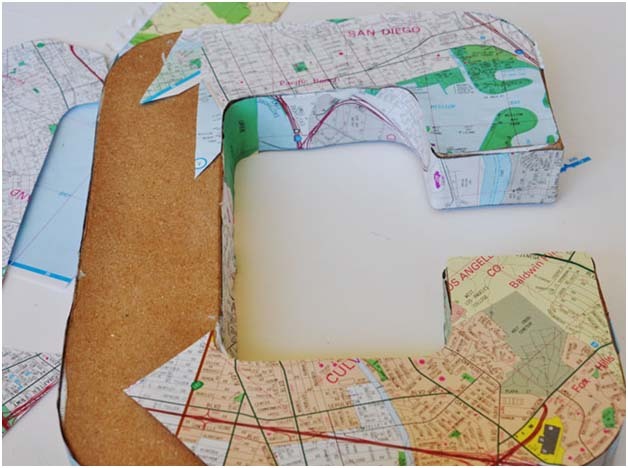 Make sure you also trace the insides of the letter. Here are my front and side pieces all cut. 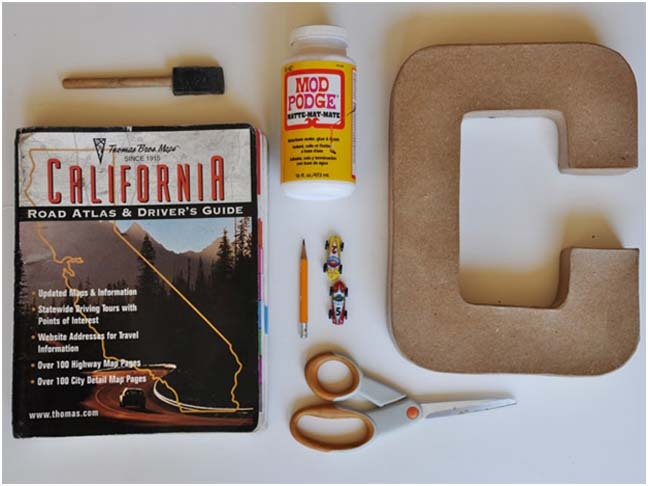 Step 2: Starting on the inside of your letter, apply a generous amount of Mod Podge. 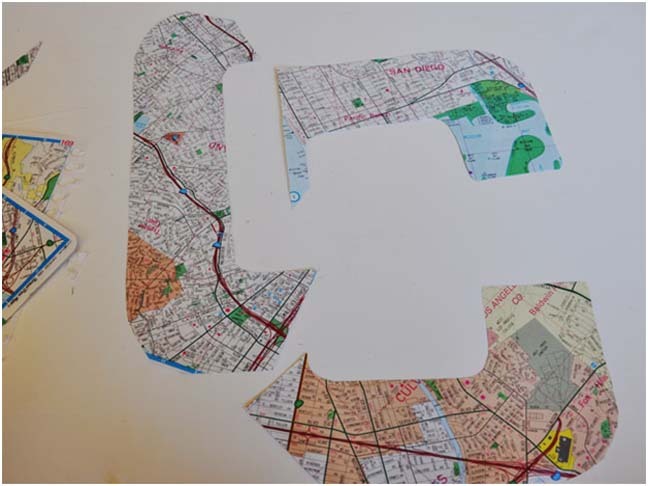 Step 3: Place one of the cut side pieces of the map onto the inside of the letter and smooth on the edges. Continue until all the edges are covered. 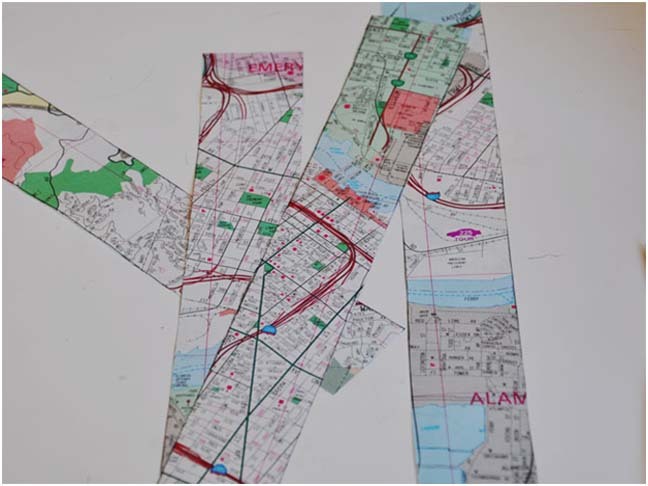 Step 4: Using the same method, apply the front map pages to cover the letter. 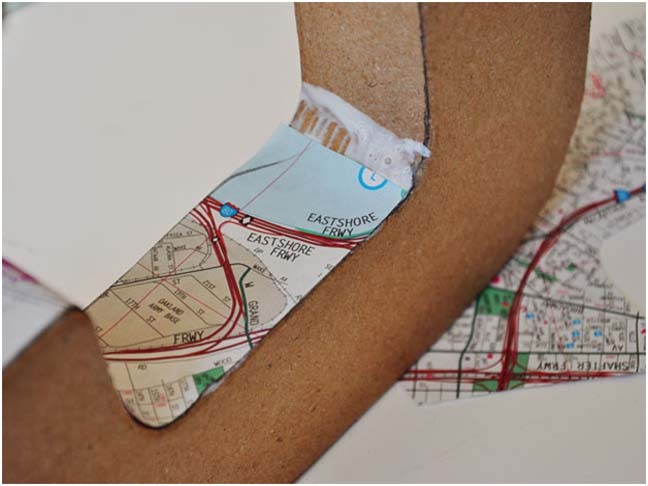 Step 5: Apply a layer of Mod Podge to the entire letter, using your fingers to smooth out any wrinkles. 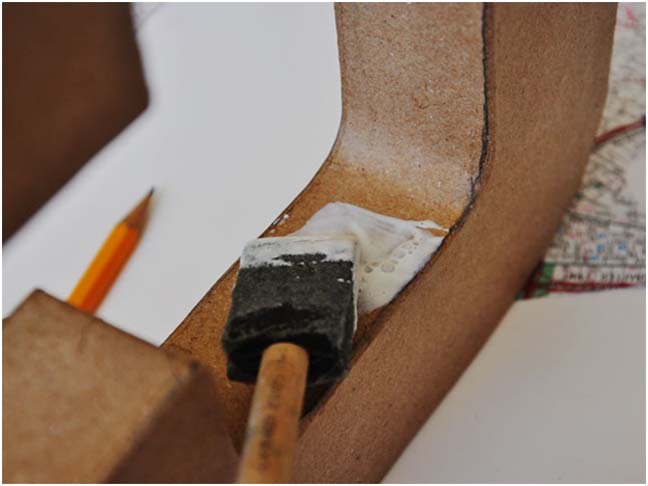 Step 6: Glue on your toy cars using hot glue. Step 7: I always use 3M Command Strips to hang these letters. Easy!